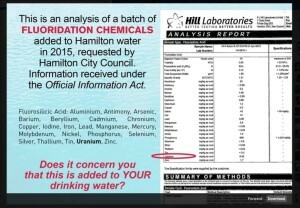 The type of fluoride that is added to our drinking water is not naturally occurring calcium fluoride, or even pharmaceutical grade sodium fluoride. 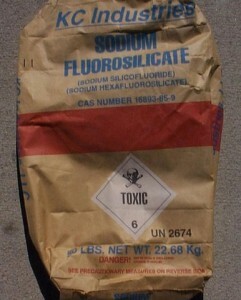 It is hydrofluorosilicic acid which is sourced from the chimneys of the phosphate fertiliser industry. 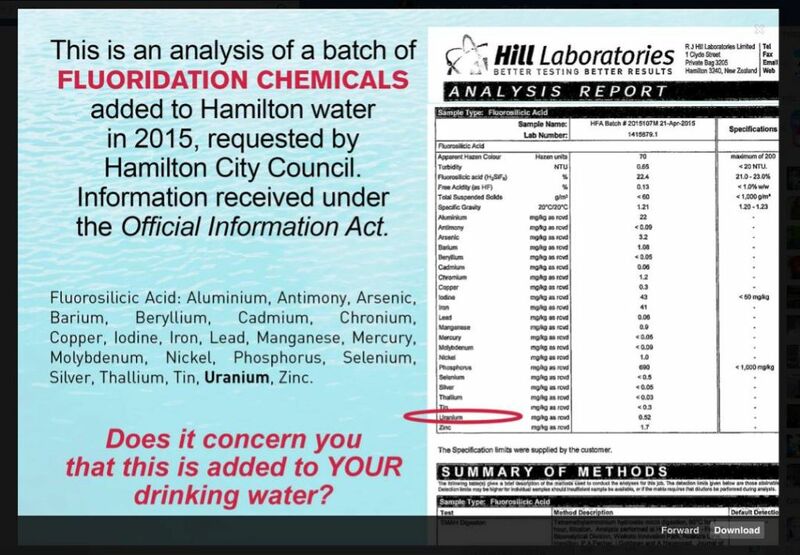 These chemicals cannot be dumped onto the land, into the sea or rivers by law and it would be costly for industry to dispose of this hazardous product except they sell it to the local councils who drip feed it through the water supply, providing a convenient dilution solution to their pollution. 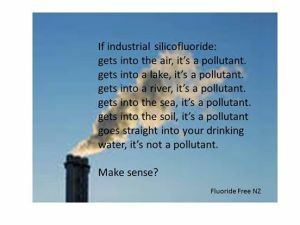 The Water NZ Good Practice Guide confirms Hydrofluorosilicic Acid is a “co product” from manufacture of phosphate fertilisers. (Point 1.5.1 on page 3). 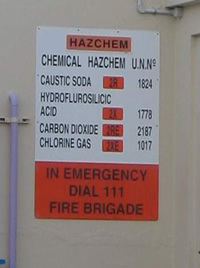 Hydrofluosilicic acid is produced as a co-product in the manufacture of phosphate fertilisers. 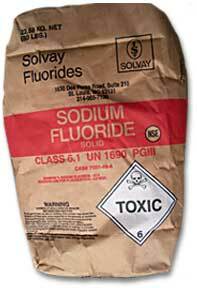 Phosphate rock, which contains fluoride and silica, is treated with sulphuric acid. This produces two gases: silicon tetrafluoride and hydrogen fluoride. 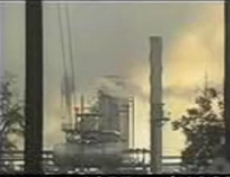 These gases are passed through scrubbers where they react with water to form hydrofluosilicic acid”.